BBC Persian reports that Iranian intelligence became aware of "homemade" Sarin making its way to "extremist" rebels in Syria, and that 9 months ago Iran's foreign ministry took the extraordinary step of conveying the intel to the U.S. through the United States Interest Section at the Swiss embassy in Tehran. 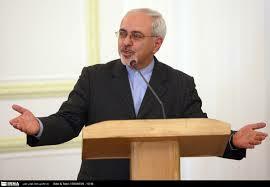 The claim is made by Iran's Foreign Minister Zarif in an interview with Asman Magazine. Zarif further states the U.S. offered no response to the shared intelligence. "From numerous interviews with doctors, Ghouta residents, rebel fighters and their families….many believe that certain rebels received chemical weapons via the Saudi intelligence chief, Prince Bandar bin Sultan, and were responsible for carrying out the (deadly) gas attack,” writes Gavlak. Rebels told Gavlak that they were not properly trained on how to handle the chemical weapons or even told what they were. It appears as though the weapons were initially supposed to be given to the Al-Qaeda offshoot Jabhat al-Nusra." Saudi pimp Bandar is organizing the transfer of chemical weapons to the cannibals as many respected journalists including Mr.Gavlak have been reporting. Saudis also threatened Russia with Takfiri terrorism. for the chemical attack in Syria blamed upon Syrian government forces. provided to them by Saudi Arabia. Sultan, and were responsible for carrying out the (deadly) gas attack,”writes Gavlak. militant named ‘J’ told Gavlak. correspondent for the Associated Press for two decades and has also worked for National Public Radio (NPR) and written articles for BBC News. unless they abandoned support for the Syrian President. Lang and Infowars are about as honest and reliable as PRESS-TV. they are all pretty much full of shift and quoted by people on that level of honesty and reliability. Recent publication by the Voice of Russia 'Syrian rebels take responsibility for the chemical attack admitting the weapons were provided by Saudis' received a strong outcry among the Internet users as some of them claiming that the company’s reports are more credible than allegations against Syrian government made by US authorities. ‘It's more credible than the US saying we have real evidence of Assad using them [chemical weapons]. Assad doesn't get weapons from Saudi Arabia. They don't have ties. The US will use any reason it can to go to war. Even if it means creating one’, writesDylanJamesCo on Reddit. KoreyYrvaI writes that ‘The Voice of Russia wants us to believe that the Rebels totally were responsible for the chemical attack, and it was an accident… because Russia has been impartial throughout all of this and I don't think America(or anyone) needs another war, but this is hardly credible’. ‘America is just getting better at proxy wars. They have firm ties with the Saudis, and they would have no problem destabilizing Syria if it meant the US could eventually target Iran and its oil reserve’, writes NineteenEightyTwo. Iranians lie like they breathe. Just take a look at Mark on here praising iran's economy and society when he knows his greatest fear would be having to leave the us and move to iran. Infowars and quotes from any iranian have zero credibility, rather this propensity for dishonesty is another reason to bomb iran. This claim about the Gavlak story is a hoax. Gavlak is an Associated Press reporter. Yet, the AP story is nowhere to be found. This is bullspin by the West-residing Assad Groupies, pure and simple. the US government is not always credible, but Voice of Russia is never reliable. it's a propaganda site owned by the Russian govt., pure and simple. Makes a difference from zionists who lie AS EASILY AS they breathe. Quotes from the zionist mainstream media and any zionist have zero credibility. They are the same hypocrites who sold the Iraq war based on a pack of lies.